Maruti did it with Maruti Swift to come up with Maruti Swift Dzire, Tata first did it with Tata Indica to come up with Tata Indigo and there are lot many examples. The latest being Chevrolet bringing the Chevrolet Sail UVA and the Sail sedan. But this saga does not end here as now it is Hyundai that is to bring such as dual avatar. Recently, the car maker has been caught testing a sedan based on Hyundai i20. Though the spotting was in Brazil but whatever development is there in Brazil is highly relevant for Indian market as well. Also, the Korean car maker feels that there is a void between the i20 and Hyundai Verna and it needs to be filled ASAP as other car makers are highly enjoying the feast in the segment. The new i20 based sedan is expected to be priced between Rs 4.7 lakh to Rs 6 lakh. The launch of this car is expected to bring back smiles on Hyundai’s face in India as the car maker is recently not doing as well as it was supposed to. The first reason is the slowdown in the industry and the most crucial one is the high level of interest rates in the country. Besides, the inflation figures are on the rise leaving little scope for the Rs 4 lakh to Rs 8 lakh car buyer to borrow money and spend on a car. Meanwhile, the new sedan launch dates are still unclear but experts believe that it will be launched in the coming 2-3 months. 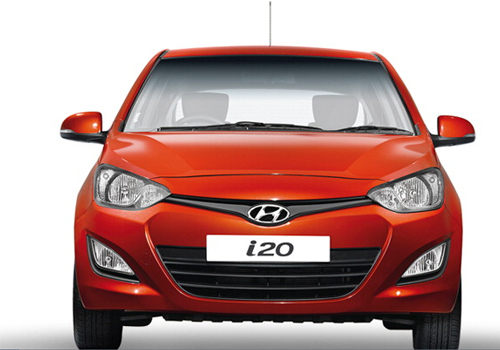 The Brazilian version of the i20 is the HB20 and it is on this platform that the new Hyundai sedan is based. The car will have all the comfort and other features as the i20 in addition to a big boot and lots of space for the rear seat occupants. Design wise, the same Verna debut Fluidic styling with pervade on the new car and in all it will be a sedan that could position itself so well in the segment that it could beat its rivals well.